What is the connection between the rosary and yoga? How can the rosary help us realize this fullness of God that you talk about? What happens next in the rosary after the Transfiguring Affirmations? What is the connection between the practice of giving the rosary and the disciplines of yoga? The yogi, who is working to attain soul liberation and supreme reunion with God, lives in adoration of the Mother force, which is known as the Goddess Kundalini. 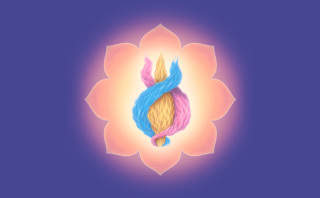 It is the sacred fire that is locked in the base-of-the-spine chakra. 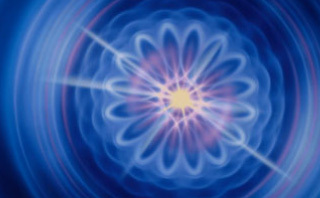 Similarly, the energy of the Father force is locked in the crown chakra. When we have the union of these two forces within our being in the center of the heart, we then give birth to the Christ consciousness, or what some have called cosmic consciousness. Making friends with Mother Mary, one who has realized and released the Mother force to the extent that she could ensoul the fullness of the Christ and bring forth the Son of God, enables us to go and do likewise. Contacting one member of the spiritual hierarchy who has attained on the Mother ray reinforces our own path of self-mastery. Just as we apprentice ourselves on earth to masters of a particular trade or guild, so we may apprentice ourselves to the personages of heaven. If we want to become a great musician, we study under the world's greatest musicians. If we want to release the Mother flame, we apply to one who has already embodied that flame and who can guide and guard us in the release of this sacred energy. Jesus said, “He that receiveth a prophet in the name of a prophet shall receive a prophet's reward.” This is an important law. The point is that if we accept in Mary the Motherhood of God, we are also accepting our own potential to realize that Motherhood. If we deny it in Mary, we deny it in ourselves. If we deny that she is the Mother of Christ, we deny our opportunity to receive her reward, which is the gift of the Christ consciousness. We find an anti-Mother force working in the world today, which is parallel to the force of anti-Christ, the force that opposes the Son of God coming to the fore of being. The anti-Mother syndrome makes us deny the Mother and therefore prevents us from raising up the Mother energies within, which would give us the full creativity and use of our soul faculties and the ultimate opportunity for soul liberation. Mary is the supremely liberated woman. 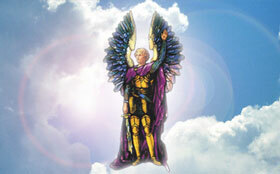 She shows each one of us how we can raise the Mother energy for the liberation of men and women and children. Mother Mary shows us that through meditation we can be free to liberate the Christ consciousness within ourselves. Each time we say the Hail Mary we are giving the salutation to the Mother ray within our own being, to the energy—the pure white light of God—that is focused in the base-of-the-spine chakra. When we say, “Hail, Mother ray,” it activates that light and by and by, increment by increment, the light slowly rises, naturally and in consonance with the laws of God, without being forced and without endangering the soul's evolution. Mother Mary, then, becomes our own personal mother, our spiritual mother who is guarding our initiations on the path to becoming the fullness of all that Jesus became. As Mary sponsored Jesus, so she will sponsor us if we call to her. And she will show us not a relationship dependent upon her but an independent relationship whereby through union with our own Mother light we can become the fullness of the Motherhood of God and thereby nourish life on earth. Our meditation begins in the heart in the seat of the Trinity, the flame of power, wisdom and love. Here we meditate upon the white-fire sun, the Sun behind the sun, the light that is behind our manifestation. This sun is a magnet of light and it will magnetize within our being the energies of God the Father and God the Mother. Beloved Mother Mary taught Jesus about these affirmations and the scientific principle of the mastery of matter through the Mother ray. 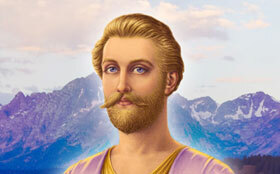 Jesus also received training in the retreats in the Himalayas from the Eastern Masters. He journeyed there between the ages of twelve and twenty-nine, preparing for his mission. He brought back with him mantras of Lord Maitreya, the one who is known as the Coming Buddha—a close colleague, you might say, of Lord Gautama Buddha. So, included in the rosary, after the Call to the Fire Breath, are Jesus' Transfiguring Affirmations. By giving these we are exalting both Father and Mother, we are expanding the sun within the heart. That sun magnetizes and quickens the energies of all of the chakras; hence the recitation of these affirmations is integral to the raising of that feminine force from the base of the spine. I AM the Open Door which no man can shut. I AM the Light which lighteth every man that cometh into the world. I AM the Ascension in the Light. I AM the fulfillment of all my needs and requirements of the hour. I AM abundant Supply poured out upon all Life. I AM perfect Sight and Hearing. I AM the manifest Perfection of being. I AM the illimitable Light of God made manifest everywhere. I AM the Light of the Holy of Holies. I AM a son of God. I AM the Light in the holy mountain of God. The energy of these affirmations continues to flow after they are given, for it is the very power of the Word that draws from the central sun within our heart and the Central Sun of a cosmos the energy for our wholeness, for the balance of the life-force of Father and Mother. Now we come to the contemplation of the life and the message of Jesus Christ. We give the I AM Lord's Prayer and then there is a reading of a verse from the Bible. We then give ten Hail Marys, each interspersed with a verse from the Bible. Ten verses and ten Hail Marys comprise one decade. There are five decades to the rosary. They each begin with the Our Father, conclude with the singing of “Glory Be to the Father” and are complete in themselves in the contemplation of one episode or teaching in the life of Jesus. Thus, once again, the rosary is a balance between the masculine ray, personified in Jesus, and the feminine ray, the response to the Hail Mary within. On Sunday morning in celebration of the Second Ray, the ray of wisdom, we meditate on the Teaching Mysteries: the Beatitudes, the Marriage Feast and the Wedding Garment, the Unmerciful Servant, the Ten Virgins, the Tares among the Wheat. On Sunday evening we meditate on the Masterful Mysteries of the Eighth Ray. These include the Temptation in the Wilderness, the Raising of Jairus' Daughter and the Woman Who Touched Christ's Garment, Jesus Walking on the Water, the Transfiguration, the Raising of Lazarus. Then on Monday morning, as Monday is consecrated to the Third Ray, the ray of divine love, we meditate upon the Love Mysteries: the Love of John the Baptist and Jesus, the Love of the Disciples for the Master, the Love of Christ and His Members, the Love of the Master for His Disciples, and the Love of the Father. This is a beautiful rosary and it imbues us with the sense of balance of the love of the Father-Mother God. On Tuesday morning, in celebration of the First Ray of God's will, we give the Joyful Mysteries: the Annunciation, the Visitation, the Nativity, the Presentation, and the Finding of Jesus in the Temple. On Wednesday morning, the day of the Fifth Ray of science, truth and healing, we celebrate the Healing Mysteries: Christ the Light of the World, At the Pool of Bethesda, One Born Blind, the Ten Lepers, and the Two Witnesses. On Thursday morning, which is consecrated to the Sixth Ray of service and ministration, we delve deeply into the Initiatic Mysteries of God—the path of initiation for which Jesus set the example for all of us to follow: the Last Supper, the Vigil in the Garden, the Trial, the Carrying of the Cross, and the Crucifixion. On Friday morning, in the fullness of the white ray of purity, the Fourth Ray, we dwell upon the Glorious Mysteries: Jesus’ Resurrection, his Ascension, the Descent of the Holy Spirit, the Glory of the Woman and the Manchild and, finally, the Triumph of the Divine Mother, through this white flame of purity. Saturday morning we give the Miracle Mysteries in celebration of the Seventh Ray, the violet flame of freedom and transmutation: the Marriage at Cana, Jesus Stills the Tempest and Heals the Gadarene Demoniac, the Feeding of the Five Thousand, Christ Forgives the Adulterous Woman, and Christ the Bread of Life. This is Jesus’ alchemy of the Seventh Ray—his transformation of the human consciousness into the divine. This, then, is the week of our rosary with Mother Mary.